Republic F-105D "Thunderchief", SNr.59-1723 of the 334th. Tactical Fighter Squadron (334th. TFS,) 4th. Tactical Fighter Wing (4th.TFW ), 9th. Air Force, USAF, during "Rolling Thunder" Operation, Vietnam. Acrylics and ink on Bristol card. 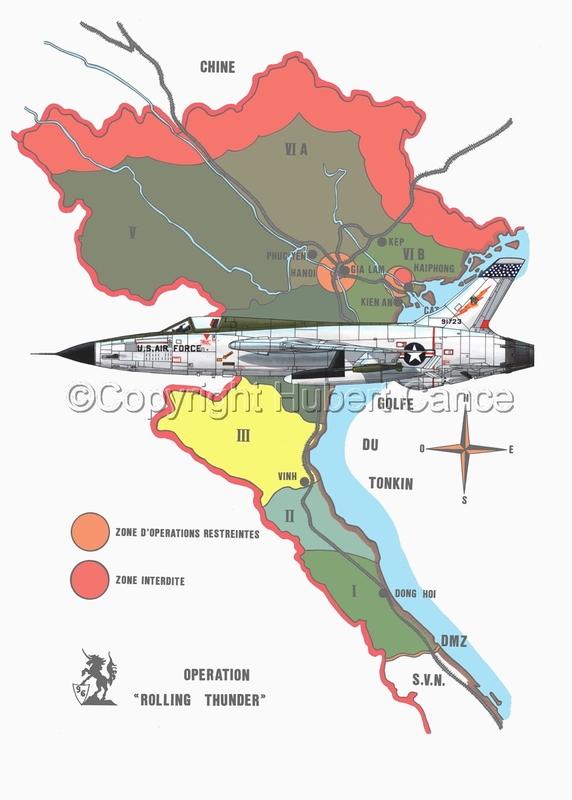 CAD modified to be inserted in a background including a map of "Operation Rolling Thunder"
7" x 5"12.5" x 9"18.25" x 13"23.75" x 17"29.25" x 21"33.5" x 24"